Set Animals In Warm Clothes Design Flat. 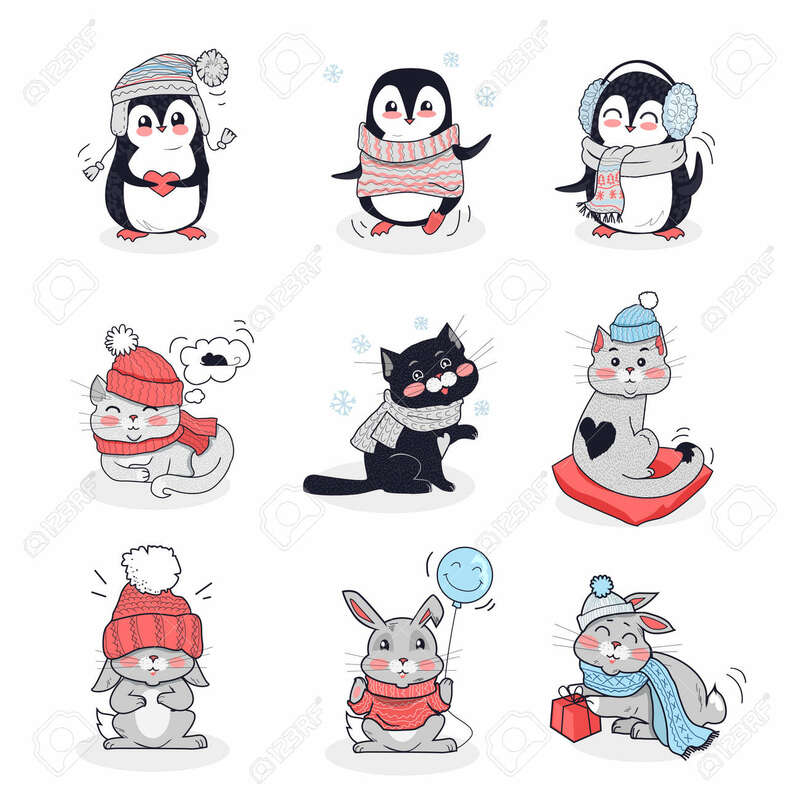 Rabbit And Penguin, Animals Vector, Cartoon Animals, Animal Clothing Scarf, Bunny Wear In Warm Hat, Bunny Clothing Comfort, Animal Hare And Kitten Illustration Royalty Free Kliparty, Vektory A Ilustrace. Image 51593894.